Being a homeowner is a never-ending job. From regular cleaning to major clear-outs, and minor repairs to large-scale home remodeling, it seems there is always a project to be done around the house. Unless you are addicted to HGTV and have plenty of time on your hands, planning and managing home renovations can seem like an overwhelming task. Working with an experienced home remodeling professional can take the stress out of updating your home, as they will walk you through every aspect of your project and bring a wealth of experience and confidence to your project to make sure it is completed in a stress-free manner. Whether you are ready to redo your powder room or completely overhaul your kitchen, finding the right professional to share your design vision is a critical first step toward a successful remodeling project. What if you look around your house and realize your master bath design needs to be updated, but you also need to revise the layout of your bedroom and want to create a master closet? Or, perhaps your kitchen needs more than just new kitchen cabinets, but instead requires removing a wall to create an open plan kitchen design. Of course, that also means that your adjacent powder room and laundry room will be affected. How do you decide which room to remodel first? Get the mess out of the way. Experienced home remodeling professionals take great care with your home and use special tools and methods to maintain air quality during a project, but the bottom line is renovations create dust. Get your guest bathroom design, laundry room update, and kitchen remodel all done in one go – and get the dust and mess out of the way. 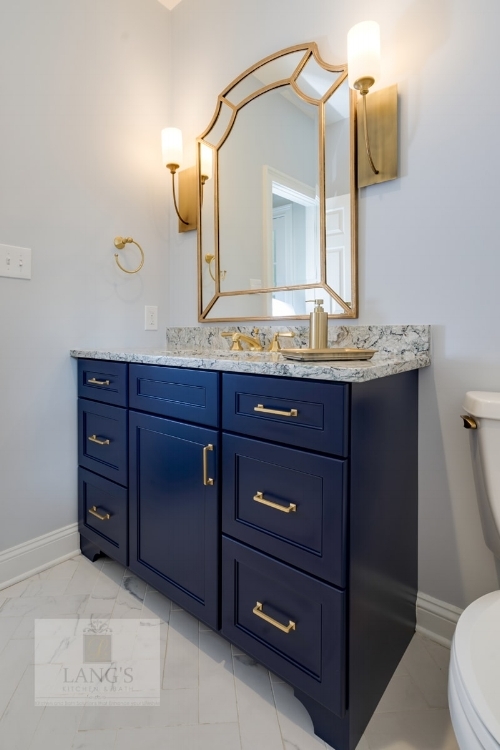 You will thank yourself once the project is completed, and you are sitting in your newly updated, freshly cleaned home, and not having to contemplate starting all over again to have your powder room redone. Your home remodeling team is booked in and onsite. Make the most of your home remodeling team while they are available and working on your home. You are going to their showroom to discuss designs, have them coming to your home to take measurements, and have their time booked to complete the work in your home. Why not keep their attention focused on your home and accomplish multiple spaces at one time? See the big picture for your home. Remodeling multiple spaces at one time allows you and your designers to create an overall plan for your home rather than just a standalone design for one room. This is particularly beneficial where you are dealing with spaces that are adjacent to each other or that work together, like a kitchen design and a mudroom/entry, or a master suite including a bedroom, bathroom design, and closet. Once you have remodeling professionals coming to your house, it is more cost effective to have them work on multiple spaces in your home at one time. Your plumber and electrician charge a service fee for coming to your home, so why not save on labor costs by having them address the plumbing and electricity in multiple rooms. If you know your home requires work on multiple spaces and your budget allows it, a multi-space remodel is a cost-effective, time efficient way to update your home. Start by identifying which spaces in your home require work by visiting our kitchen design, bathroom remodeling, and other spaces galleries. Then, come visit us in our showroom to find out how we can help you achieve your vision for your home!